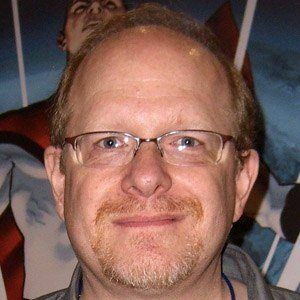 Known for his work on such popular DC Comics titles as Superman: Birthright and The Flash, this writer also contributed to Marvel Comics' Captain America series. Also affiliated with Boom! Studios, he penned the Incorruptible and Irredeemable comic books. He published his debut comic book-style short story, "The Puzzle of the Purloined Fortress," in a 1985 issue of Action Comics magazine. In the early 2000s, he began working with cartoonist Mike Wieringo on the popular Marvel series Fantastic Four. He was once romantically involved with fellow comic book author Devin Kalile Grayson. He and artist Alex Ross collaborated on a 1996 graphic novel titled Kingdom Come.